The ancient mystical tea culture is taking over the world and quality tea is now part of modern life. 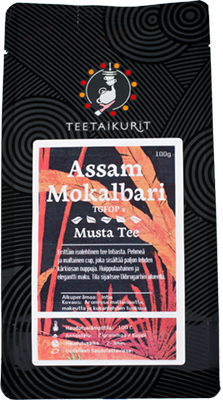 Mokkamestarit’s passion for tea has led it to create its own Teetaikurit brand, guaranteeing a whole range of top grades and freshness. Teetaikurit is synonymous with good tea, boasting the best from the tea cultures of Japan, China, Korea and India. Mokkamestarit’s teas originate in quality tea houses. Our teas include black, green, oolong and white tea, and rooibos. Green organic tea from Japan. Top-quality, large-leaf black Assam tea from India. 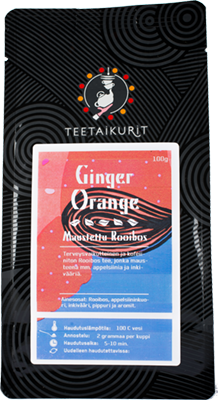 Healthy and caffeine-free Rooibos tea, flavoured with, e.g., orange and ginger. Teetaikurit is a byword for high-quality tea. It offers the finest grades of tea from the tea cultures of, e.g., Japan, China, Korea and India. The range features not only familiar classics but also new specialities. For the friend of flavoured tea, Teetaikurit offers a comprehensive range of flavours: blueberry, spicy chai, jasmine, pomegranate – and many more! Flavoured teas also come in organic versions. Infusing tea is easy and fun with suitable equipment. There is not just one correct way to infuse tea leaves, and we recommend you experiment boldly to discover your own style. 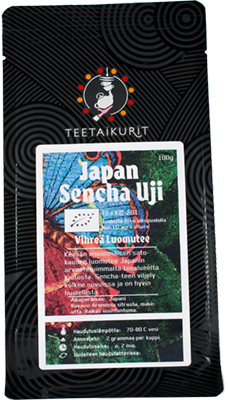 The Teetaikurit range includes a comprehensive set of supplies from different tea cultures. We also stock traditional tea sieves, throwaway and reusable filters, thermometers and timers.